FLO-CORP’s Ultrasonic flow switches measure the flow of most liquids using clamp-on digital ultrasound transducers. The clamp-on transducers are made of rugged PVDF and rated NEMA 4X. They are easy to install and do not use any moving parts. 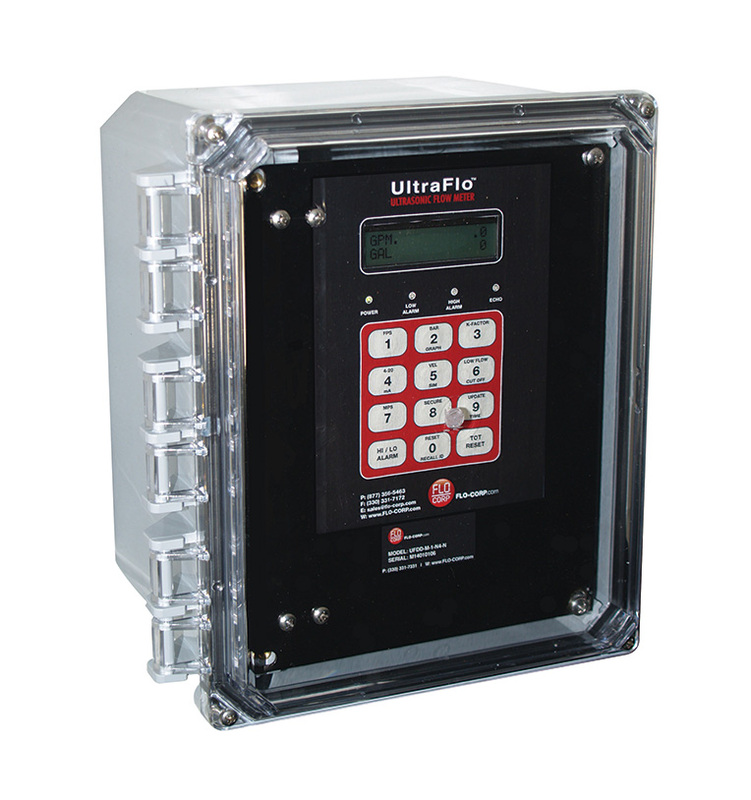 This non-intrusive variety of Ultrasonic Flow Switches uses either the unique digital doppler principle or digital transit time depending on your application. 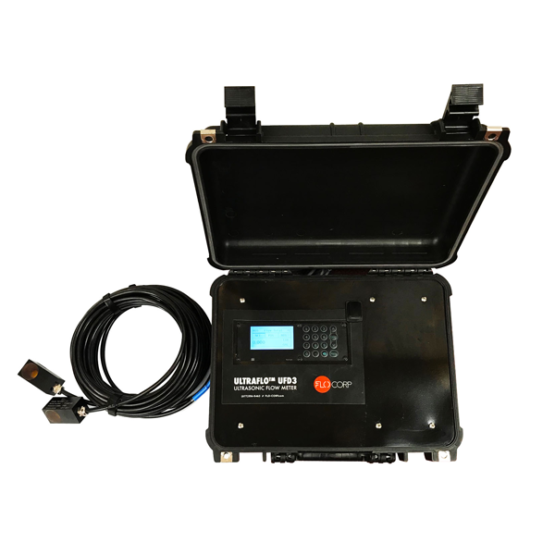 The UltraFlo flow switch can measure most any fluid from potable water to 30% thickened sludge.